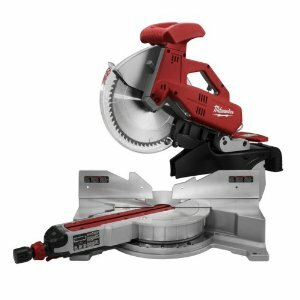 What is a Power Miter Saw? A miter saw is a very handy saw if you make a lot of small or mitered cuts. You may have heard them referred to as a chop saw or a drop saw or even mitre saw. These saws look a lot like a circular saw mounted on a hinged guide that includes a fence and a miter index. The miter index allows you to change the angle of the blade relative to the fence. 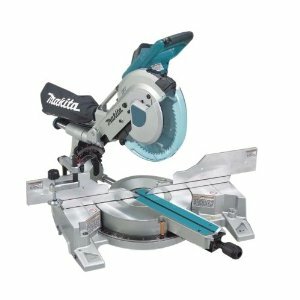 A standard mitre saw allows you to make repeated straight or mitered cuts. A compound mitre saw not only cuts on an angle, but you can tip the blade to the side if you wish, essentially giving two angled cuts at the same time. This feature works really well if you cut a lot of moldings... especially large crown moldings. In addition to the compound mitre saw, you can also buy a sliding compound mitre saw. The difference between the two versions is that the slide version either slides and hinges, or just slides. Either way, the sliding compound mitre saw enables you to cut miters on larger pieces of wood and moldings. Each upgrade in the abilities of the saw adds more to the price. While a chop saw isn't what you want if you need to rip large pieces of lumber or cut wide pieces, any standard power chop saw will do angled cuts. Some chop saws only tilt in one direction, but others offer the ability to tilt in either direction for easier angles. A slide compound chop saw will also allow you to cut larger pieces. If you only want a basic chop saw, you are limited in your width and depth of cut to what your blade can reach. Most cheaper models do not cut on a bevel but for just very basic trimming or cutting with a sharp blade they will work. 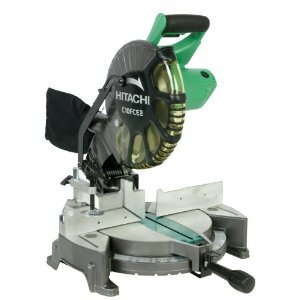 If you're looking for a compound chop saw, the middle-priced models can make all basic cuts plus tilts to one side and may possibly have the slide feature depending how much you are spending. By sticking to the major brands this saw is sufficiant for all trim work providing it is the 10 inch blade size model and has the slider. 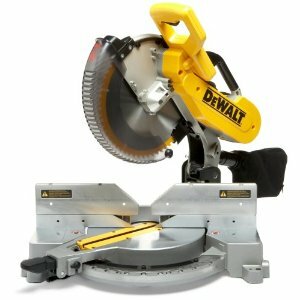 On the high end, you may want to look at the Dewalt DW708. It miters, crosscuts, bevels to both sides and slides. It is more complicated to adjust for angled cuts, and the expense may make some people think twice. 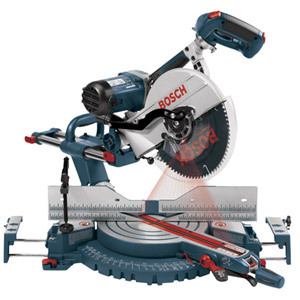 Some companies that make power miter saws include Bosch, Makita Milwaukee, Dewalt, Delta and Rigid, among many others. Be sure and do a search online to see the full range of these saws you can choose from. Before you buy a saw, think about what you're going to use it for. Are you going to be cutting a lot of large pieces of molding? How many degrees of angle do you need for your projects? Do you need to be able to move the saw frequently? What is your budget like? Compare the saws you see with these criteria. Always use caution when using power tools. This saw is no exception. Make sure it is unplugged if you are changing the blade, and be sure and follow all recommended instructions for use. Return From Miter Saw to Home - Finishcarpentryhelp.com.